This past weekend, some mama friends and I spend time intentionally talking about our post-baby bodies. (We also paired the discussion with a clothing swap, which I HIGHLY recommend – so fun!) Some themes I walked away from the conversation with included how remarkable our bodies are to be able to breathe life into new life. How much things shift and change in our bodies, in ways that stay shifted and changed even years after having a baby. And how strange it seems that we often somehow expect our bodies to return to their pre-baby form. Today, I’m delighted to share a guest post with you by Dana Satir, PhD, CEDS. She is a psychologist (and also a new working mama!) who focuses, among other issues, on concerns about eating and body image. Here, she shares some wonderful advice about nurturing our post-baby bodies. Even prior to my pregnancy, I was discouraged by pressure for moms to get ‘their bodies back,’ ‘lose the pooch,’ or ‘battle the bulge.’ These fixes usually included a combination of dieting, exercise, and timelines. And they were endorsed by celebrities and their trainers, who shared secrets for post-baby slim downs. As a psychologist specializing in body image and eating disorders, I have witnessed this kind of thinking – that bodies should magically change if will and desire are present – result in harmful cycles of restrictive eating, anxiety/depression, and negative self-evaluation. For the vulnerable post-partum mother juggling the pressures of resuming her professional life, the implicit judgments behind these messages can be experienced as painful and shaming. So what is a mama to do when she cannot defy reality and look like she did not have a baby? I suggest you think of birthing a new body instead of trying to undo the one you have now. 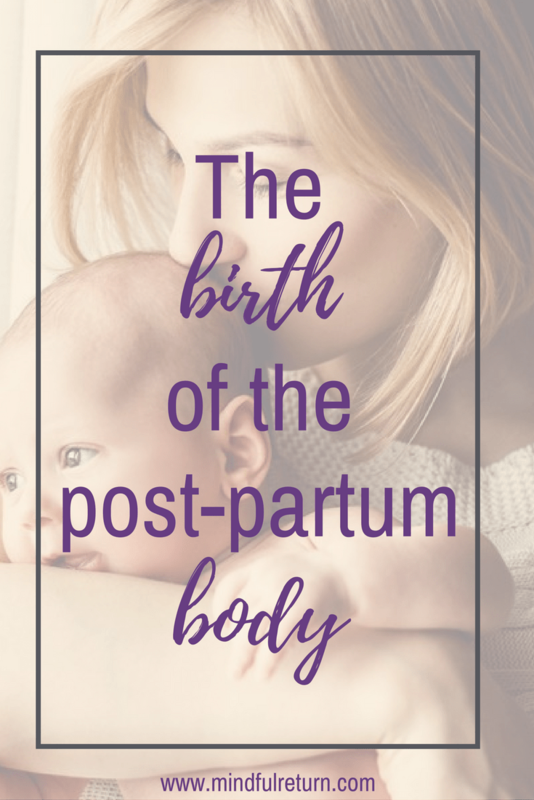 In this post, I offer five ways of acknowledging and nurturing your post-partum physical self, based on body image and self-esteem research. Try these approaches to allow for greater flexibility, acceptance, and maybe peace in your new post-baby form. Lose the scale, shift the focus inward – Little good comes from weighing oneself and basing your value on a number. Put the scale away and focus instead on how you feel. You might start a dialogue with your body. Ask what you physically need in this moment – hydration? Iron-rich foods? Chocolate? 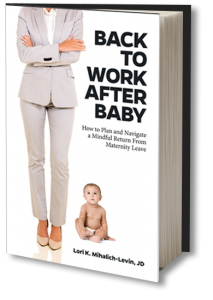 What nourishment is essential for you during the work day, in the post-partum period? This conversation honors the demands and energy required to sustain your current body from the inside out. Identify what your body can do – If you derive self-esteem primarily from how you look, it minimizes all the ways you are served by this physical structure. What would happen if you focused on how your body functions? If you noticed something your body does for you every day– as a mother (i.e., arms used to protect and carry your baby) – this aligns you with the new strengths and abilities you possess. Not what you wish or think you should look like. Wear clothes for this shape– Instead of struggling to fit into pre-pregnancy or maternity wear, consider making yourself comfortable by finding clothing that fit now. What feels good as you recover from labor, surgery, breastfeeding, baby wearing, all while managing a return to work? Soft fabrics? Elastic waistbands? Vibrant colors? If you allow for your current body as is, squeezing into a pair of jeans or feeling like you need to fit into a suit you wore a year ago would undermine these efforts. Activity instead of exercise – There is nothing inherently wrong with exercising to stay fit. The benefits are well documented. But after birth, the body’s actual composition changes. Muscles are sore. Parts are tender. Time constraints and cumulative exhaustion are real. Could you consider movement as active relaxation? A chance to decompress after work– as opposed to exercise to change your shape? Instead of hot vinyasa, maybe restorative yoga? Or better yet, a mommy and me class? Thinking of activity as something that helps you slow down, not as a way to achieve a desired physique, will help you become familiar with this new body and how to take care of it. Challenge unrealistic images and body talk – Inundated with airbrushed photos and manufactured truths on social media, it is tempting to make devaluing comparisons. Consider defying these messages and educating yourself by looking at real images of women after birth (e.g., Honest Body Project). In social settings, what would it be like to talk to yourself and your friends in ways that are not weight/shape related? Instead of suggesting someone looks like they lost baby weight, what about noticing they seem genuinely excited to be a first time mom? Or if weight/shape talk do come up at work, say you would rather not discuss your body and change the subject. Making conscious choices to challenge these unrealistic standards and habitual ways of thinking can serve to change the internal dialogue. I invite you to consider honoring your postpartum shape as something real, alive and worthy of positive attention. And perhaps, ultimately, a body you can claim as your own – not just a transitory object. If you think your feelings about food and body need attention from a trusted professional, please speak with your physician and look for resources at https://www.nationaleatingdisorders.org/. Help is available. Dana Satir, PhD, CEDS, is a licensed psychologist and Certified Eating Disorders Specialist, treating adolescents and adults with eating, body image, and anxiety disorders. 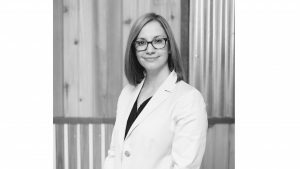 She is currently working in private practice at offices in both Denver and Boulder providing psychotherapy, supervision, and consultation. 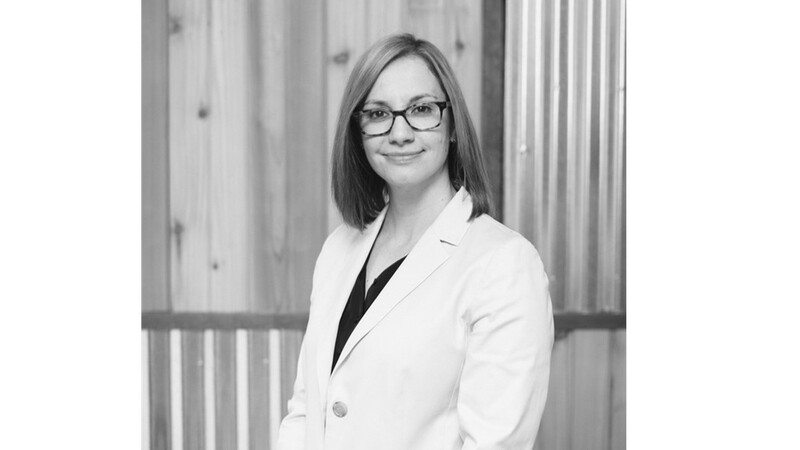 Dr. Satir is also an Adjunct Instructor in the Counseling Psychology Department at the University of Denver, where she teaches courses on eating disorder treatment and psychodynamic psychotherapy. 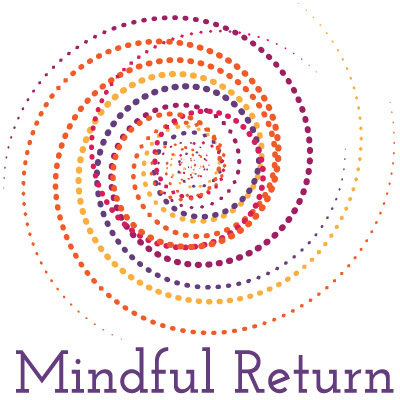 If you’re looking for help from a supportive community in returning to work after maternity leave, consider joining the next session of Mindful Return. This is so helpful. Thank you for the list!! So glad it resonated, Katie. Dana’s perspectives are wonderful, I agree. Keep preachin’! This is the mindset I try to adopt on a daily basis and reinforcement from authorities is so helpful in battling the deluge of information we otherwise receive from coworkers, well-meaning family, and the media. Thanks for your comment, Tara! Yes, it’s quite a battle, but one worth undertaking. Here here.